A few years ago, still as a student at the Catholic University Institute of Buea, I came in contact with what changed my life for good. Working and studying full time I knew I had to get help with my depression. I recognized how unfair it was to my family to allow myself to be consumed by this negative emotion; I was not myself at work either. Then one day, when I was at Molinge Henry’s place for an appointment, I must have appeared desperate. He asked if I would consider meditation to help me. I said yes, anything. He loaned me books and tapes on relaxation and meditation. He also showed me how to meditate. I went home, began a routine of meditation in the evening, and used the tapes to guide me into relaxation at bedtime. I would fall asleep peacefully. In the morning, I would get up and meditate for twenty minutes, which before long would get me through my days. After a month or so, Molinge Henry introduced me to the self-development program online who took over teaching me meditation, breathing exercises and teaching me the Buddhist Traditions. I met with the monk to meditate more privately when I was selected for the international peace retreat in Thailand for some time. Next, I learned to chant; this helped deepen my meditation experiences. While in Thailand they explained to me that when we meditate, we can then look inside ourselves and there is no hiding. Negative emotions and forgotten memories can begin to surface; (this does not happen to everyone). Not always are these pleasant nor easy to deal with. Facing what surfaces from within us is the way to work through the negative emotions. I continued the practice and each time, I would have emotional pain and begin to cry during meditation. It was not easy or a quick process, but it would mean progress for my well-being. Friends and family saw the progress I was making through meditation. Over the years I have sat with people, teaching meditation techniques for those who have requested this of me. The positive results are amazing. One does not have to have huge issues in life to meditate. Living day to day has its own struggles for all of us. By-products of meditation are, and not limited to, the ability to have a unique calmness during challenging times, restful sleep, to see situations and people in a clear light for what and who they really are, and being mindful. With this in mind, one is able to make better choices and decisions on their path through life. You do not have to be or become Buddhist; people of all religions meditate. One does not have to belong to peace revolution either. Meditation can easily be done alone, in the privacy of your own home, if preferred. 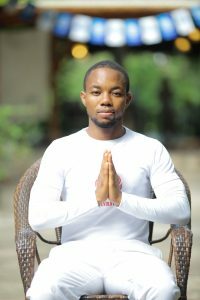 Here is a website ((http://peacerevolution.net/)) that will cover all meditation postures and help you through your life. It worked for me and am very sure it will work for you too. Find a quiet time of day where you will have no interruptions for approximately 20 minutes; (in the beginning you may want to only meditate for 10 minutes and work up to 20 minutes). Set a timer for 10 or 20 minutes when you begin your seated meditation. Choose the meditation position that is best suited for you, take a few deep breaths and begin to feel the calmness within. Eyes open looking down at the floor or eyes closed, now begin to concentrate on your breathing, counting each breath 1,2,3,4 then begin counting from 1 again. Take a deep breath in and then exhale out; this is 1. Continue each breath until you count to 4, and then begin to count from 1 again. This will help to keep you focused and your mind from wondering. Mind wondering, also called “Monkey Mind”, is common during meditation. Acknowledge your thoughts and then continue to count as you breathe. Eventually, you will have less “Monkey Mind”, allowing your meditation to deepen. The more you fight topics that come into your mind, the tougher meditation will be; see it, and then let it go. It is best to meditate every day if possible, especially in the beginning. Meditation will become easier each time. When the timer goes off, this concludes your seated meditation session. You will begin to feel the calmness and all that goes along with meditating daily. I have given you a brief guide to meditation; however, there are numerous books and CD’s online and at your local bookstores, to teach you how to meditate. There are even free videos you can watch as well from here (http://peacerevolution.net/). Next PostNext MENA Salam III Fellowship: Amazing Chapter in my life.